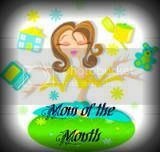 Caffeinated Autism Mom: Coffee Karma and Espresso Excitement! Coffee Karma and Espresso Excitement! 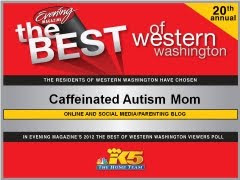 If you have been on the Caffeinated Autism Mom Facebook page recently, you may have seen my post about making a "Poor Girl's Iced Latte" at home. When you don't have a lot of cash to go out to a coffee shop and you no longer have an espresso maker, you learn to improvise. I used to have an espresso maker (two, actually), but unfortunately both machines ended up breaking. I had a well-known brand, but apparently the quality was just not there. When the second machine gave up the ghost, I opted to live without an espresso machine from that point forward. That was about 4 years ago...maybe more. Well, I must have put out some major coffee karma into the universe or something, because I got a call from a dear friend of mine who knew that I did not have an espresso machine and she had one that she never uses. Actually, it belonged to her husband, but you get the drift. She said that her husband had set it aside for me. Can you say jaw-dropping moment? She met up with me last night and gave me her barely used, commercial grade, high quality, supercalifragilisticexpialidocious espresso machine. I am in seventh heaven! I think it's all I babbled about with my hubby last night. 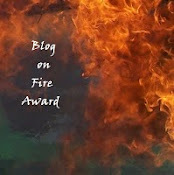 He may have asked me at some point in the evening if I was going to blog about it. He doesn't need to know that I had already started typing the post when he asked me the question. I claim innocence. He doesn't know me that well. I'm an enigma. Uh-huh. Sure. I can't wait to read through the manual (yes, I will actually read the manual). I will also lovingly clean and de-scale the machine, go buy some espresso grind coffee, and then take this baby for a test drive. 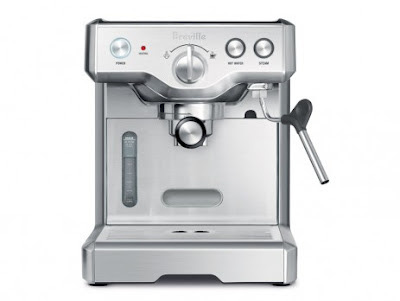 I can hardly believe a gorgeous Breville machine is sitting on my kitchen counter right now!!! Someone may need to pinch me. Brew a pot of your best coffee (preferably made with filtered water). Simmer it slowly in a saucepan until it reduces to about 1/4 of the original volume. Refrigerate the concentrated coffee in an airtight glass container. Pour some of the concentrated coffee into a large glass. Add ice and coconut milk (or your choice of milk) to taste. Flashback Friday: Teachers need to know!